SCVNGR, the Boston-based company behind the location-based mobile game with the same name, has raised $12 million in funding for its other venture, mobile payments platform LevelUp. Part of a larger fundraising round, the investment comes from ￼￼prior backers Google Ventures, Highland Capital and Balderton Capital with participation from new investors Continental Investors and Transmedia Capital. The company, which has raised roughly $32 million to date, says the $12 million is merely the first tranche of the financing round. The rest is committed, it says, but not closed yet “as it’s with some larger strategic partners”. 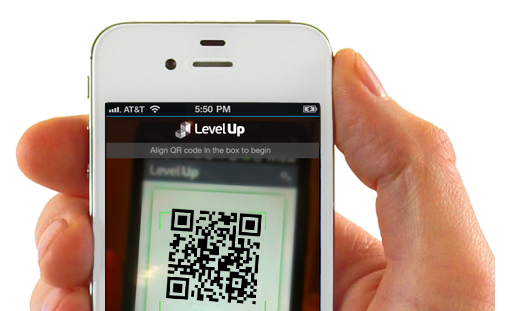 LevelUp is essentially an app that lets you pay at local businesses with your Android handset or iPhone. Users can link their credit or debit cards to the app and scan a unique QR code at checkout at partner merchants. Already, LevelUp is available at more than 3,000 merchants across 8 cities in the United States, including chains like Johnny Rockets, Goodburger, Coldstone Creamery and Ben & Jerry’s. The proceeds of the funding round will primarily be used to expand the platform nationwide. According to a press release, LevelUp has attracted nearly 200,000 users – of which 65 percent are monthly “really” active users – who are spending at a volume of $2 million per month. LevelUp was initially launched in March 2011 and operated for its first 3 months as a daily deals platform (obviously now discontinued).